This Pen and Pencil Holder is a pen or pencil grip made from soft PVC. It simply fits over normal sized pens and pencils making them easier to grip and control writing. 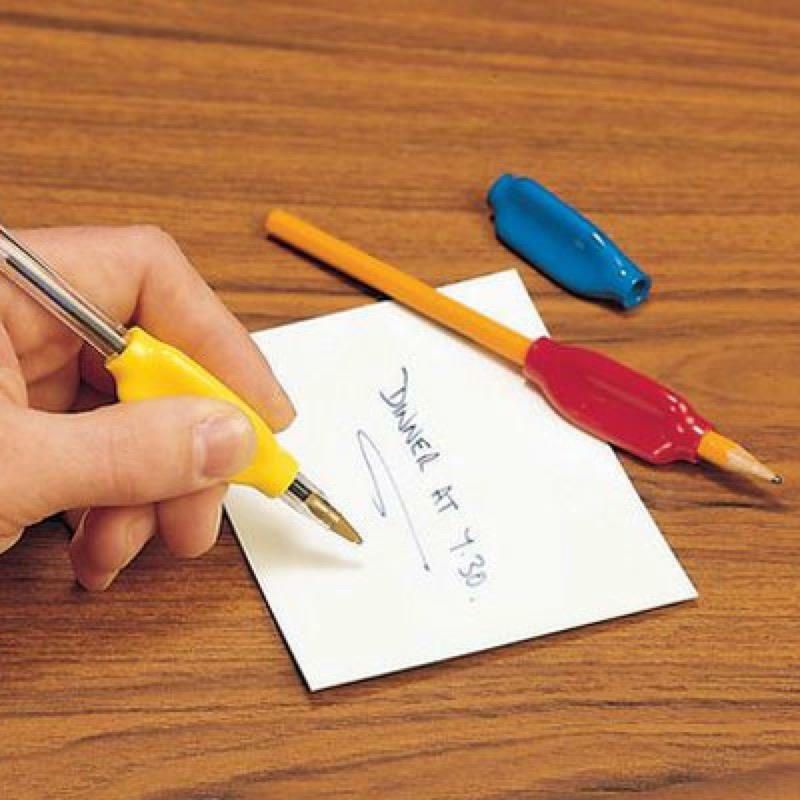 The pen grip is triangular in shape allowing the thumb, index finger and middle finger to each locate on a side of the grip. This keeps the pen very steady and takes some pressure away from the finger tips. These grips are great for students writing exams as well as those with poor grip as a result of arthritis.